What is your IQ? What is your strongest area of intelligence? I took Raven's progressive matrices and my IQ was evaluated at 131 in the 96th percentile. I will admit though, my mind excels at logic and reason so I might not do as well on a different IQ test. However for that area of intelligence I've heard it is reliable. My mind can adapt fairly well to other ways of thinking to where I'm at least proficient but I've always been more analytical. Other forms of intelligence include social intelligence, emotional intelligence, creativity, visual, etc. According to my testing for my special education in high school (due to mental health issues), I have average IQ & score highest in verbal skills ("very superior"). Meanwhile I score low in processing speed. I'm not sure how accurate those tests are - I took one on 4 hours sleep and a hangover, and scored 162. I think I did well on it because I'm a lot better at logical thinking and figuring things out than I am at tests I have to study for - because I'm lazy af and a terrible procrastinator. I also had pretty high scores on the GRE, and the SAT before that. For the same reason I suppose. Is it true that even if you're convinced you will never want children, you will start to want them when you're in your 30s? Have you ever been in a car crash? What is your favorite color? Do you think cell phones have become a basic need in human life just like food? What's your take on drugs? I can't remember which one was the latest official intelligence test taken, but I got around 140 in average with higher scores in logical, visual and spatial skills. The lowest I get in those tests are usually the vocabulary and spelling which makes sense given that it's a foreign language that I'm using. Also, my short term memory score seems just as low, which I kind of agree with. Although the only use of IQ tests are for fun and they don't really say anything about a person. The last time I took a Mensa test online it was around 125. But I don't think the online test is an accurate measurement of my IQ. What I think is funny is that my IQ according to that same Mensa test used to be the same as for you, 131, before I started playing rugby. I don't know if there's an actual correlation between my concussions and lowered IQ score but at the very least it's an interesting coincidence. 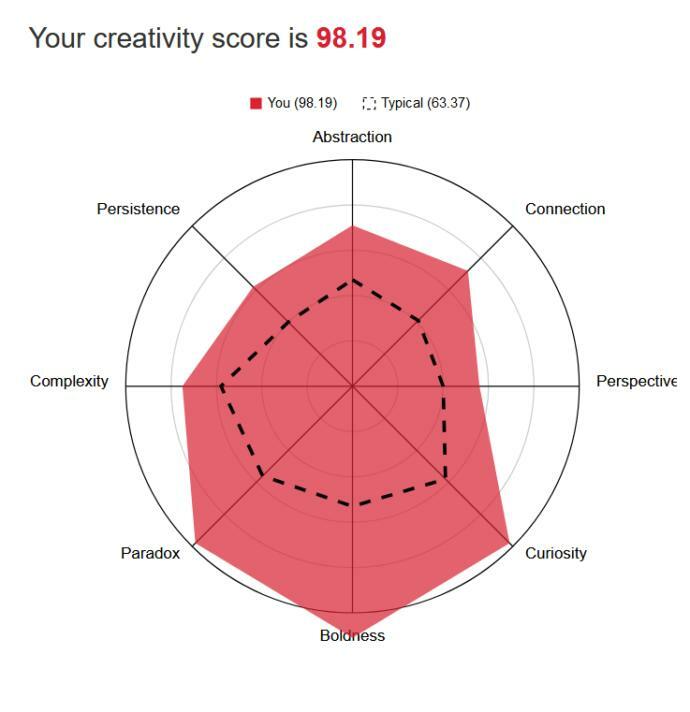 I don't feel intelligent tbh I feel like I'm more creative but I don't know I feel dumb most of the time. Have you ever heard of low latent inhibition? Very few of us around who have it plus a high IQ to compliment the stream but your words remind me a lot of myself when I was your age. You may wish to look into it. Autism is more so the limited form which do not see the world in a logical sense. A high IQ plus logical/creative autism produced low latent inhibition which is the higher form/not limited. It is fully beneficial where as the other is only partially beneficial. But either way, just figured you might find it interesting given your statement. I dunno, probably over 9000. So you're a clever douchebag. Congratulations. Home > Other > What is your IQ? What is your strongest area of intelligence?